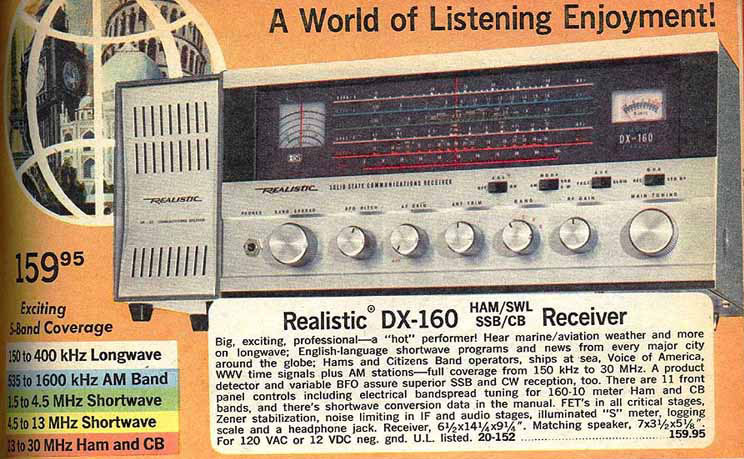 I was 12 when I first received a Radio Shack DX-160 shortwave receiver for Christmas. My father, who worked on road construction at the time, used to bring home large rolls of wire from blasting caps. I used this wire to construct the largest and most bizarre antenna arrays that you can imagine. I had no real input for antenna design, and since the nearest Radio Shack store was over 50 miles away, I had to experiment. I was fortunate that my parents lived in the country, so I had plenty of natural supports. My favorite was an old, gnarled apple tree about 150 feet from the house. The blasting cap wire was not stranded, but solid and did not have much give, it was noted for breaking and becoming chopped up by the lawnmower. Despite the antenna problems, I did mange to become an avid SWL, and spent many late nights listening to many of the cold war powerhouse stations. 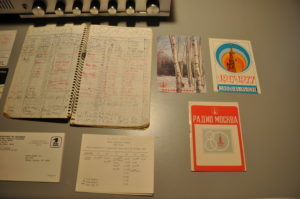 You can imagine my parentís chagrin and concern when I received a letter and QSL card from Radio Moscow. Bruce’s Old Shortwave QSL Cards. Radio Moscow show. I really wanted to become a ham, but as we lived in the country, well before the days of the Internet, I did not know who to speak with. Then as time went on I discovered girls and cars and my radio interests went by the wayside for nearly 20 years. 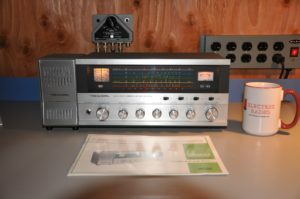 I was in my early 30s when my interest turned back to radio, and began to pursue the dream I had 20 years earlier of becoming a ham radio operator. I first licensed in July 1995, and thanks to the efforts of my Elmer W2UJR, became an advanced license holder in August of the same year, and Amateur Extra class in 1999. My interest in AM radio is not new however, but dates back to my teenage years. My fascination with radio quite early. My first real radio was old RCA console that had been abandoned in the basement. I managed to get this into my room, and with some tinkering get it working. I would wait until my parents were asleep and listen to the all hours of the morning. I especially recall listening to WBZ in Boston. For some reason this AM station fascinated me, for I was amazed that I could get the news and local information for a someplace as far away as Boston, MA. Yes, many late nights were spent listening to Larry Glick and his call in program on WBZ. That was how I first caught the magic of radio! For more on my story, please check my “Written Word” section.